A new pic of Nendoroid Spiderman has popped up in the net. 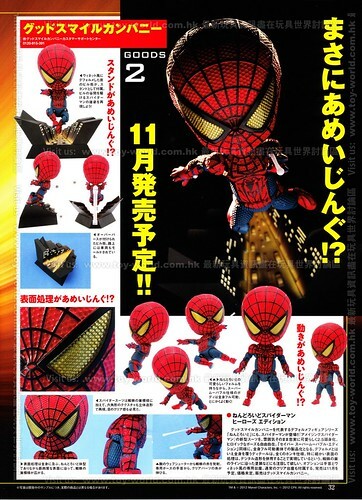 As you may have known, this Nendoroid based on the design from Amazing Spiderman. As expected, Spidey will bring along some optional parts and accessories to recreate various scene from the movie. It looks like he will also come with a special stage set. Anyway, it seems that the pre-order will be available soon because he is scheduled for November release. 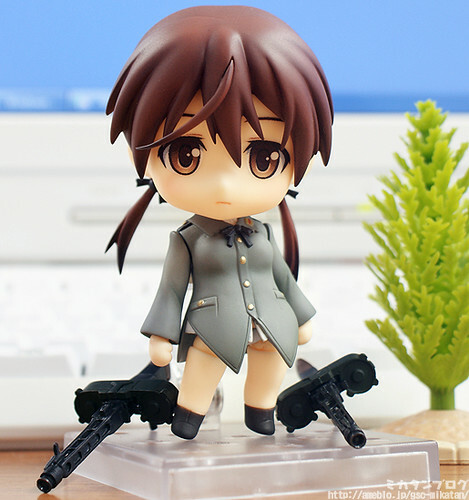 So you think Ano Natsu de Matteru would only get a single Nendoroid? 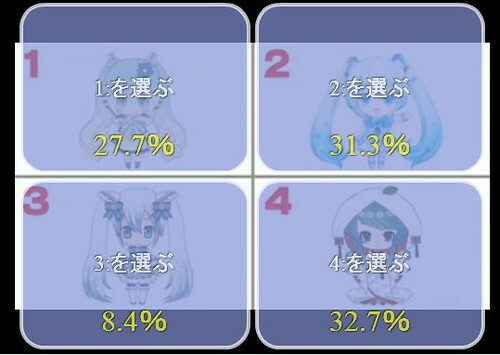 Well, apparently GSC does not think so, as they have announced the upcoming availability of Nendoroid Tanigawa Kanna, which will be the second Nendoroid produced for the series. 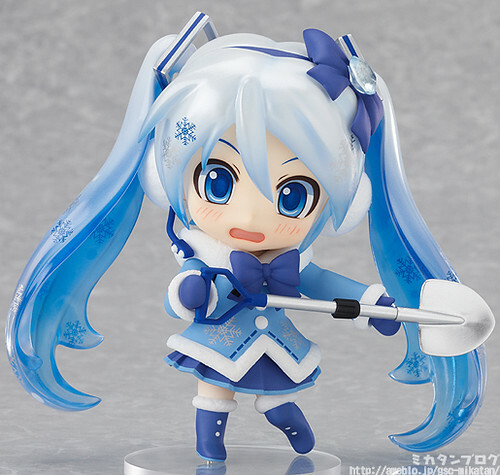 Yes, Nendoroid Snow Miku: Fluffy Coat version was initially scheduled to start shipping today, June 29. 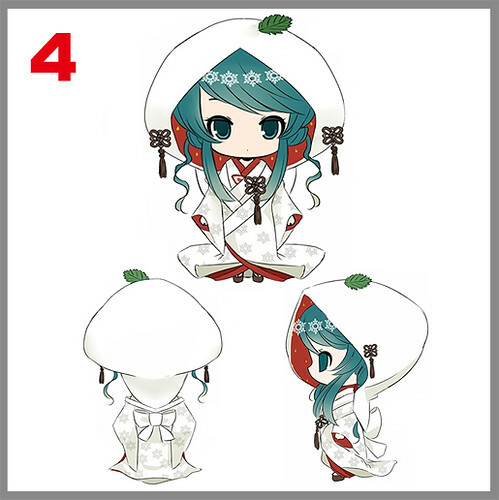 However, it appears that GSC has sent out an email of apology and announcement about shipping delay of this Nendoroid to all of its customers. There are some problems discovered during the last inspection before the shipment, and as a result, it is delayed indefinitely. “WONDERFUL HOBBY LIFE FOR YOU!! 15” Web is inopportune has been discovered in some of the products in the inspection. We decided to postpone the shipment. Regarding the situation is expected shipping date and we will contact you as soon as can be found at our Web site. To customers who look forward to this product that you apologize sincerely apologize for any inconvenience this may cause. My best regards humbly as you can for patronizing our products in the future. 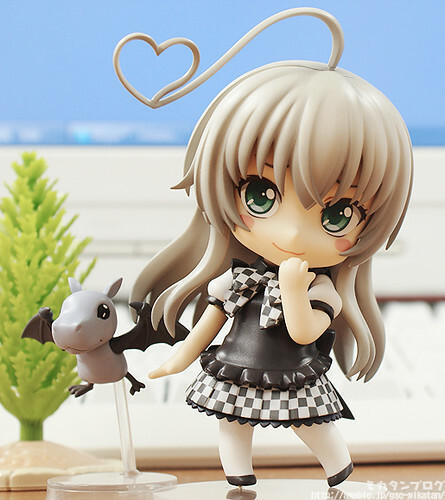 Nendoroid Nyaruko from Haiyore! Nyaruko-san, which has just gone for pre-order earlier today, got a quick preview by Mikatan as well. Anyway, pre-sale tickets for the 2nd Nanoha Movie with a bonus have been available since the March 22 at Circle K Sunkus. 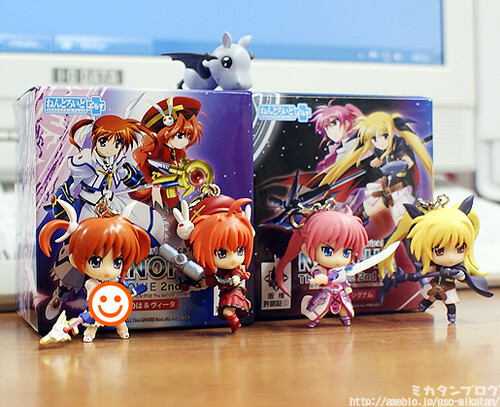 For 2700 Yen, you can get a ticket to the Magical Girl Lyrical Nanoha: The MOVIE 2nd A’s movie as well as a Nendoroid Plus Charm set. 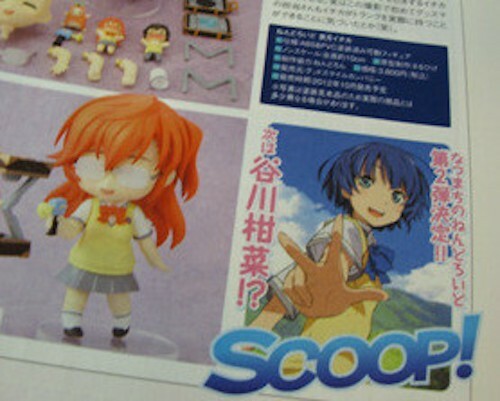 If you are interested to grab either (or both) of these, you can find out more at the Circle K Sunkus’ special page for this Nanoha movie.